← Sept. 25, 1947: It Was a Kinder, Simpler Time Dept. 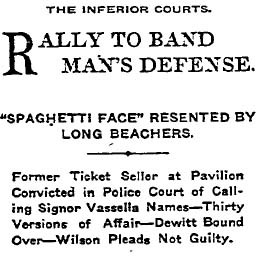 This entry was posted in 1907, Crime and Courts, Music, Pasadena and tagged 1907, crime and courts. Marco Vessella, Long Beach, Music. Bookmark the permalink.